Nepal was widely exposed to the world after the end of Rana rule in 2007 BS. Nepal has maintained diplomatic relations with many countries. 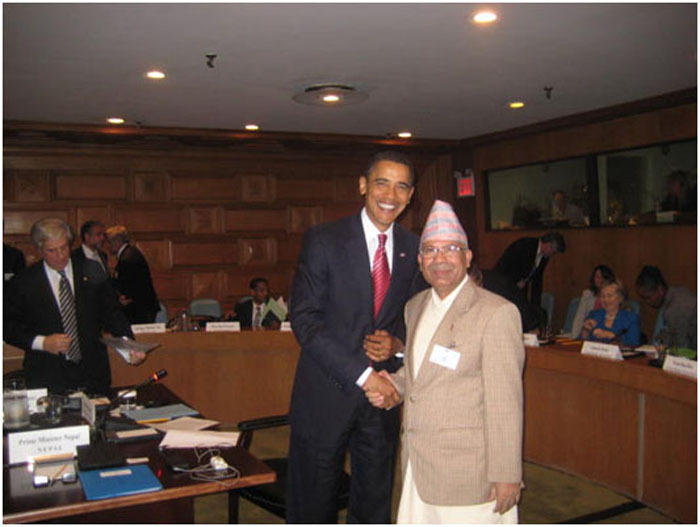 Before 2007 BS, Nepal had relations with countries like India, USA, UK, etc. and was known to a few countries like China, India, UK, etc. The foreign policy of Nepal is based on non-alignment and the five principles of Panchaseel. Nepal adopts the policy of non-interference, non-violence, peaceful coexistence, mutual cooperation and respect for others sovereignty. Nepal, widely known as the land of Lord Buddha and a peace loving country has good relations with other countries. 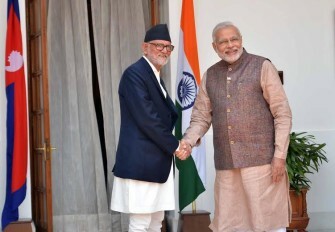 Nepal is also a member of SAARC and UN. Nepal has equal relation with every country and it does not align any country or any block. The people of Nepal and other countries have maintained harmony and understanding each other. Friendly relations with other countries help to get knowledge about the geography and life of people in other countries. Keeping good relation helps in the economic development as the donor countries increase. Friendly countries help in promoting tourism industry in our country. It helps in earning foreign currency. The friendly nations provide scholarships to Nepalese students for their higher studies. It will help our country to get quick progress. Nepal has maintained diplomatic relations with many countries. Nepal is a member of south Asian association for regional corporation (SAARC) countries. The foreign policy of Nepal is based on non-alignment and the five principles of Panchaseel non- interference, non- violence, peaceful coexistence, mutual cooperation and respect for other’s sovereignty. Friendly relations with other countries help to get knowledge about the geography and life of people of other countries. Name the member countries of SAARC. Which of the following country is not the member of SAARC? Which of the following principle is not included in principles of Panchaseel? Nepal was widely exposed to the world after the end of Rana rule in______. When did Nepal open itself to outside world? Which does not fall under Panchasheel? What is the benefit in having friendly relation with other nation? They can understand our culture. We can learn and adopt their ways of development. We can understand their culture. They give us financial Aid. First diplomatic mission in Nepal? Any Questions on 'Nepal's Foreign Policy '?